Gianotti–Crosti syndrome. Monomorphous papules coalescing into plaques on the cheeks of a child. Source: Kane K, Nambudiri VE, Stratigos AJ. 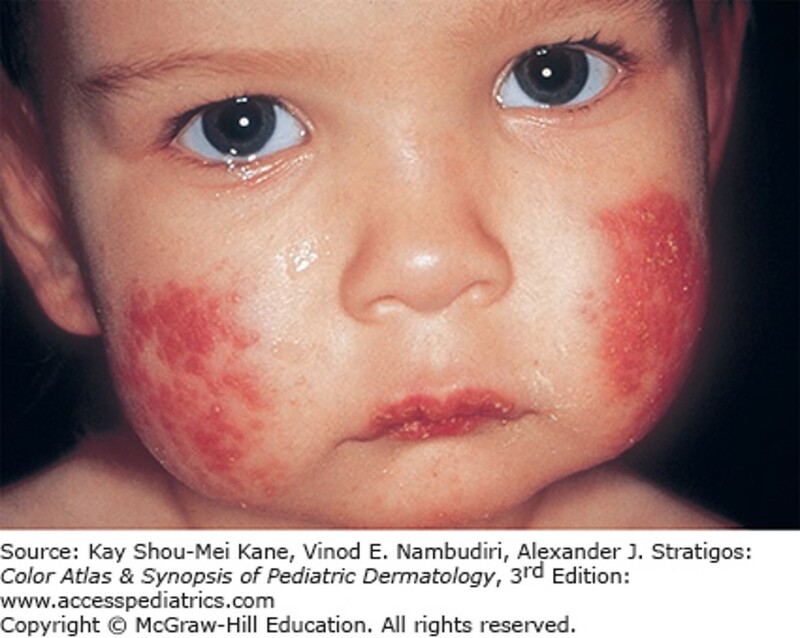 Color Atlas & Synopsis of Pediatric Dermatology, 3e; 2016.